LEGO has been hinting at this unveiling on social media for weeks now and the wait will soon be over. I love James Bond films (and to a lesser extent the original books) and I’ve even watched On Her Majesty’s Secret Service several times. It’s really not bad, guys! 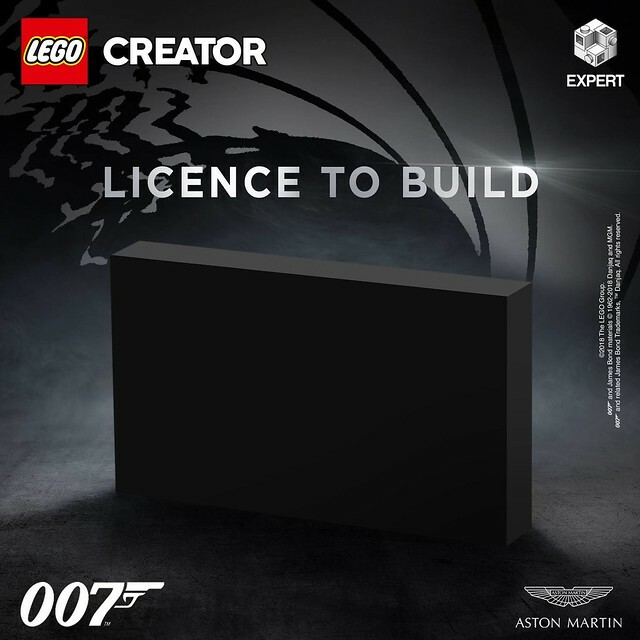 When these teases between Aston Martin and LEGO started, I had assumed it would either be a small set like the DeLorean from Back To The Future or a big Technic set like the recent Bugatti Chiron. This reveal of it being a Creator set is a pleasant surprise for me and I think it will place the set in the $100-$150 price range, similar to the Volkswagen Beetle and Microbus. I never got around to picking up either of those, even though I did like them, but this? Oh yeah, I’m in. I’ll post more once this secret is officially outed.